The Northbridge Youth Soccer Association (NYSA) is dedicated to providing a fun, safe, healthy and competitive soccer environment in which the youth of Northbridge may participate in and develop their soccer skills, to learn proper attitudes towards competition and sportsmanship, to learn the values of teamwork and respect for the rules, self discipline, and the gaining of self confidence gained through trial and error. ​​Please visit the Join/Registration page for more information. Northbridge Youth Soccer is a member of the Midland Area Youth Soccer League (MAYS). 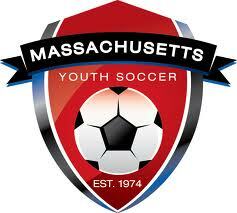 Northbridge Youth Soccer is a proud member of Massachusetts Youth Soccer.